In the U.S., our concept of business has always been closely bound to owning or renting property. With the words legitimate and legal defining benchmarks for entrepreneurs, street food rarely receives the kind of public awareness and support that other countries have long embedded into their daily rhythms. 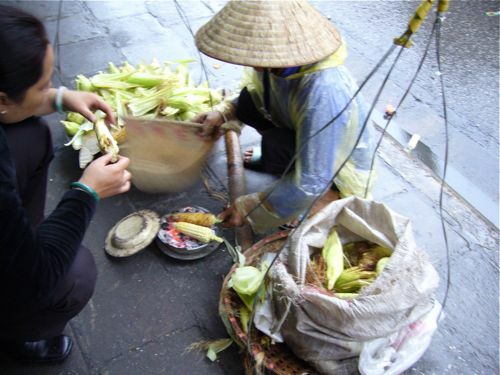 In some countries, nearly half of the food consumed comes from street vendors, and in Africa, Asia and Latin America, the street food sector employs from 6 to 25 percent of the urban work force, often involving entire families across generations. (See Street Foods: World Review of Nutrition and Dietetics, ed. A.D. Simonpaulos, 2000.) 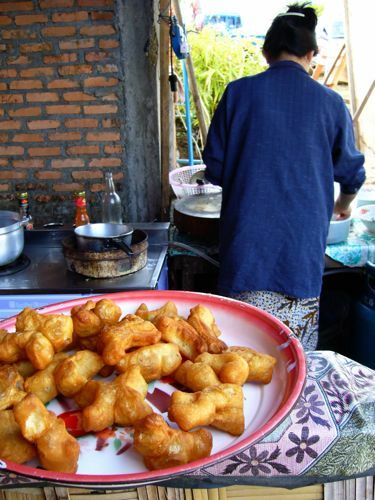 Consumers International, an independent organization working in 116 countries, has been researching and working closely with governments to support street food for over 30 years. India and Singapore may serve as useful examples for us. Their burgeoning street food scenes are both relatively young. 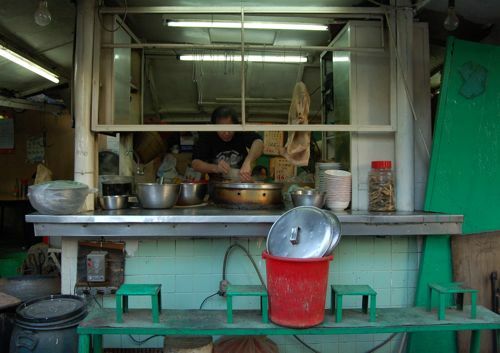 Singapore was established in 1959, and within ten years, the government realized the need to regulate street food vendors without diluting the island’s distinctive culinary culture. Any eater who has made the pilgrimage to Singapore knows well that hawker centres a.k.a. 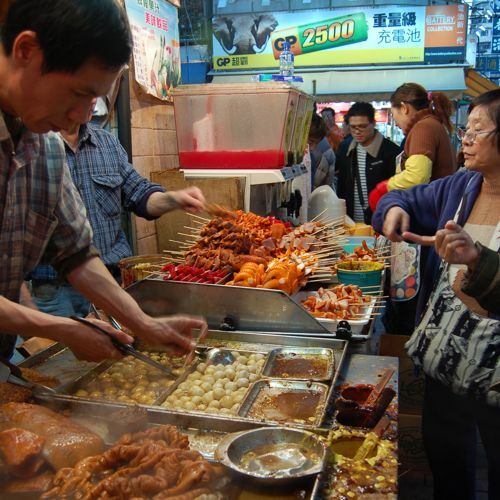 food centres, with their endless stretches of food stalls, are the very effective and delicious compromise. While a few taxi drivers and old-timers may still grumble about how chicken rice just doesn’t taste the same in air-conditioning, no one would think of giving up their neighborhood food centre. Located in the first floors of apartment complexes as well as concentrated in specially zoned, multi-level, sprawling malls, food hawkers are truly a day-to-day part of life in Singapore. As expected, there was an outcry from vendors all across India. More interestingly, Indians who depend on street food for inexpensive meals complained that they wouldn’t be able to watch the food being cooked, thus would not be able to witness its freshness and cleanliness. 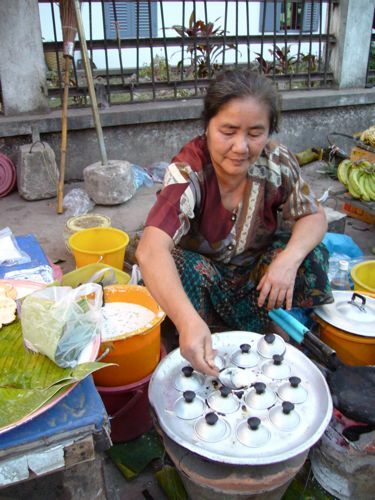 In countries where immediate quality is much more important than gimmick or branding, enforcing safety with off-site facilities may well give way to the transparency of a sidewalk stove. 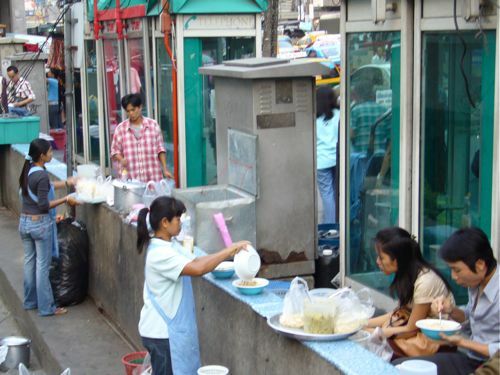 Thailand’s “Clean Food Good Taste” campaign, launched in 1989, is a program that values the needs of small street vendors as well as restaurants. Especially critical to its success, the plan includes a public education program and cooperation across several government agencies at municipal, regional and federal levels. Here in California, Sacramento has tried to rein in taco trucks, while San Francisco this summer attempted to both welcome and regulate food carts in its city parks. Similar to New Delhi, the city adopted an ordinance requiring street food to be prepared in certified, off-site kitchens. With higher fees and the need for larger, more expensive carts, street food will more likely become an extension of well-established restaurants and more deeply capitalized entrepreneurs. While protecting our public health is certainly important, new laws need to be considered and discussed within the larger context of our city’s culture and economic development. If we as eaters want creative, locally based and locally relevant street vendors integrated into our culinary landscape, then we as citizens need to push our legislators to build a system that supports–not weeds out–very small businesses. It’s one thing to push a cart around Dolores Park on the weekends as a hobby during your salad days. It’s much another to bring in a living wage and move your family up the ladder while providing food for others day in, day out. The whole issue of diversity was an obvious part of both street food festivals. We all like to think that San Francisco is one of the culinary capitals of the world. I’m counting down the years until San Jose or Santa Clara, Fremont or Fresno take over the reputation of truly international cuisine that they already deserve. Until then, I’d still like to see our city become more willing to support the full spectrum of culinary businesses. This means not only seeing unusual foods spelled out on the menu board. It means seeing a variety of people pushing the carts and pocketing the money. Regarding your recent entry about street food, I am very happy to read about your enthusiasm for such to be more prevalent in America. I remember my first trip to Thailand, whereby I was amazed at the diversity of food available on any corner, path, or nook in even the smallest of villages. I ate off the streets every day for several months, and I’ve got two trips to the hospital for food poisoning to prove it! Regardless, still being a fan, I came back to America daydreaming about my own noodle stall right there in suburban New Jersey. However, regulations and culture stood in the way. Although I applaud all that you’ve written, I love to play devil’s advocate so that I can firm up my own beliefs. Having that said, I am wondering if it is the case that renting or owning property is really a major facet as to why there aren’t more street stalls / mobile food vendors in America. Despite my searching on the Internet, I can’t find a documented, outright reason as to why food stalls / mobile food vendors are banned or highly regulated. My feeling is that it probably comes down to money and politics that is translated as some food hygiene concern. Maybe larger food vendors pushed for such a ban so to establish their market share. Regulations can vary from city to city or state to state, but overall there is a common blanket of food stall non grata in America. Only things I can think of that are accepted are hot dog stands, pretzel stands, portable vending at carnivals and fairs, and the ever-loved ice cream vendor (who doesn’t make the ice cream on the spot). I’ve never read about a famous bison jerky vendor in some Wild West town in America’s history. Could I grab some pheasant on a stick off the street in colonial Boston? Perhaps the huge interest in the “food on the go” festivals is because 1) Bay Area food culture; 2) Such food is a novelty, hence high demand for that particular instance. Regardless of my random thoughts, having unique, ethnic food sold on American street corners seems a stretch in realistic political terms, although a sizable population would embrace it. I can just hear the fast-food lobbyists button-holing various members of congress with their “keep the meat off the street” slogan. Perhaps areas like California can utilize more street vendor appreciative communities to push legislation in those areas so that a foothold can take place. Until such a day comes, I’ll be getting my BBQ ribs from Fat Matt’s restaurant in Atlanta, not Fat Matt’s Food Stall on Peachtree Street.